Photo: Susma (18) is a happy graduate thanks to a scholarship provided by our farmland profits and donations to the program. We are happy to report that 5 more children were enrolled in our Children’s Hope Center education outreach program in the slums of Kathmandu, Nepal over the summer. That makes a total of 25 children who have been provided with nutritional support, backpacks, school uniforms, school supplies and scholarships which have enabled them to attend local schools in the city. A further 20 slum children receive nutritional support from us. Focusing our efforts on getting them into school is a key component in breaking the cycle of extreme poverty, and gives them great hope and an opportunity to change their lives. We are celebrating our first graduate from the Children’s Hope Center — Susma, age 18, who has overcome many obstacles in her pursuit of education. She lives in a local slum colony with her mother who is suffering from tuberculosis; her father is mostly absent and unemployed. Susma has struggled through extreme poverty her entire life without much support or guidance from her parents. 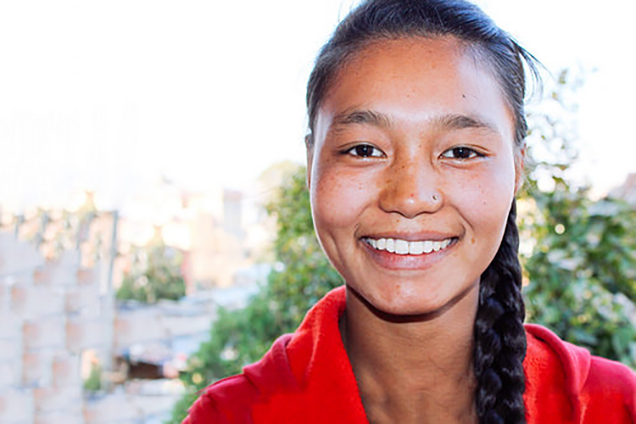 She was unable to complete grade 10, the highest grade in the standard Nepali school system, considered the equivalent of a U.S. high school 12th grade. But thanks to your support and contributions from our generous donors, along with profits from our farmland, we were able to provide her with an education scholarship for her studies. She passed and received her diploma! Now she is studying in a pre-university course with a bright future ahead of her. The slum colony where we work is composed of about 100 families who live in make-shift homes built with nothing more than tree branches, tattered tarps, and vinyl ad banners found in the trash dump beside them. There is no electricity and only a few latrines serve the entire settlement. However, in the midst of these scenes of squalor, our program is providing the nutritional support these kids need to stay focused as they enter the education opportunities we’re opening for them. Our farmland, which grows organic corn, eggplant, tomatoes, and spinach, and raises goats for goat milk and stockbreeding, is taking us closer to our sustainability goals in Nepal. 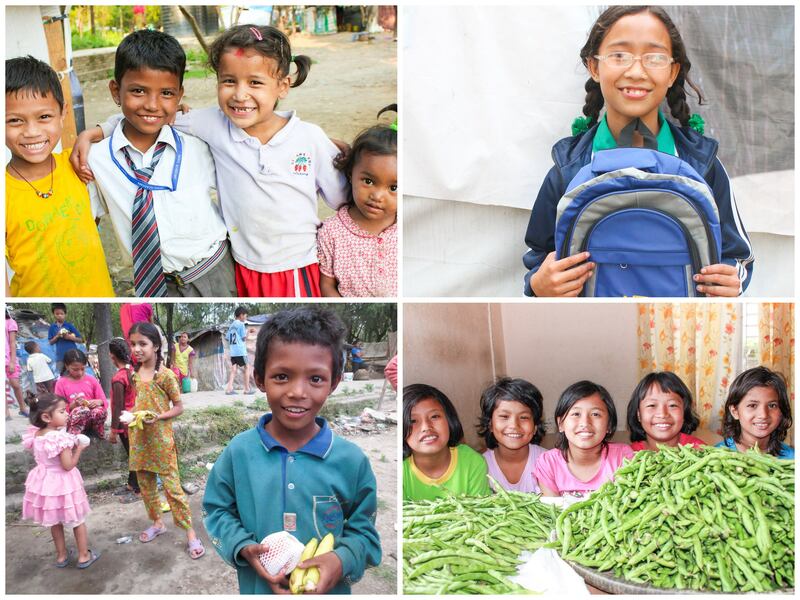 The produce from our farmland provides nutritious food for the slum children. It also supplies our human trafficking rehabilitation home and orphanage with fresh ingredients for their meals. Surplus from the farmland is sold at market to generate much-needed funding for our education programs as well. Just last week our team harvested more corn, eggplant, tomato and spinach.